Welcome to my personal website. I’m a web developer with some system integrator experience. I live in Crotone, in south of Italy, working in there for Abramo Customer Care for business innovation as product manager of Digicare software solution. I’m glad to join you on Linkedin. 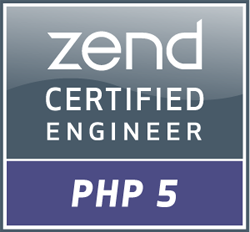 These years I have built the Pair PHP framework that has been the foundation of many of my personal web projects. Many years later, I was able to use this framework for the Digicare project, extending it and making it suitable for the most demanding requirements of a large company. I played drums in many bands and orchestra since childhood. My last is with Já Cansei, a lounge-music band with Brazilian taste. By now you may meet me around the State doing some gig. Alongside my lounge group, I played drums for Lost Reality, an electronic-rock band that published a video of the official cover Black Celebration. For a short time I played with an Italian rock band with whom I shot the video of the song Caligula.